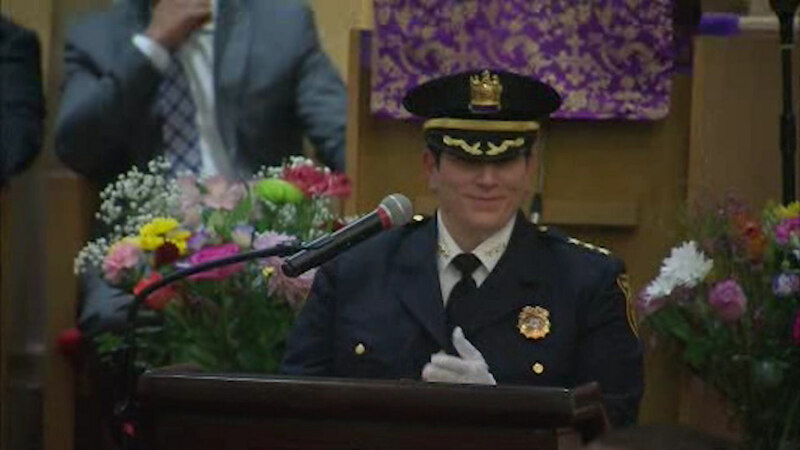 EAST ORANGE, New Jersey (WABC) -- History has been made in East Orange, New Jersey, Friday night as the city gets its first female police chief and youngest fire chief. Both were elevated from acting status at the Messiah Baptist Church. 43-year-old Andre Williams is now the youngest person to ever command the department. Phyllis Bindi, an East Orange native, and 16-year veteran of the force, served as acting police chief for the past year. She says her main priority is serving her community. Police and fire operations were merged into divisions under the East Orange Department of Public Safety in 2015.